June 2014 - The Webb Family Serving at Grace International School Chiang Mai. The lost son on Jihad. A man, living in Cardiff, called Muhammad, had two sons. The youngest, brightest, and most politically aware, Khalid, asked his Father for money to go on Hajj to Mecca. Pleased that his son was fulfilling an Islamic duty, Muhammad blessed his son and gave him a large sum of money. Khalid, however, did not intend to go on pilgrimage. His new friends on the internet had spoken of the need to protect fellow Muslims in Syria and Iraq. Kahlid felt that this might be his true “home. ” Home was not Cardiff or university or mediocrity. Home was the true country he was made for. A pure Islamic state. In helping with jihad, Khalid could earn God’s favour and secure his place in paradise. He could learn to be a real man, do something amazing with his life and he would be immediately equipped with an AK47 and the training to use it effectively. Khalid longed to feel that power and to see enemy heads fall at the feet of Allah. Khalid joined a group of fighters in Mosul. At first, the thrill of eliminating the enemies of true Islam was a buzz like nothing else. Sweeping through towns and villages under the banner of ISIS, Khalid along with his jihadi brothers, raised his weapons in one hand and his Qur’an in the other. 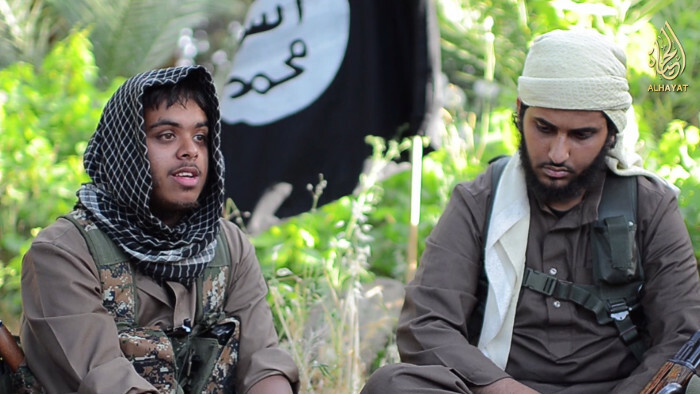 Khalid longed to recruit other Muslim young people from Britain to the cause. When a video was shot, to recruit young Muslims to wage Jihad, Khalid spoke of the need to irradiate evil and the enemies of Allah in order for good to prevail. Khalid revelled in being part of a great cause. Back in the UK, the newspapers speculated on why an intelligent young man like Khalid should leave his family and engage in such brutal murderous acts in the name of God. The news programmes and commentators and Imams shared their views and Muhammad pleaded, on air, for his son to return home. Muhammad’s house became a target for racist attacks. Stones were thrown through the windows and graffiti sprayed on the walls. Walking down the street in his Shalwar Khameez, Muhammad attracted the taunts and abuse of his neighbours. Even Muhammad’s brothers urged him to move house, move area, disown his son and get on with his life. Khalid’s own brother, Abdul, who had just completed a PhD agreed. Khalid had brought shame on his Father and shame on his entire family and all hard working British Muslims. He could not forgive Khalid. Secretly he hoped Khalid would perish in the Iraqi desert. Khalid saw his Father’s pleas on the internet. At first he shrugged them off and laughed at them. However, after several sleepless, violent months Khalid came to his senses. He did not want to seek martyrdom. The waging of jihad had caused him to abandon the morals he had been brought up with. He decided that he would return home knowing that this would mean his inevitable arrest under the terrorism act and estrangement from the family whom he had shamed. Now he was ashamed of the lives he had taken and the violence he had inflicted in the name of religion. Khalid had spent all his money on jihad but he managed to make the long journey overland to a British Embassy in Turkey where he surrendered himself. Khalid returned to Britain escorted by personnel from MI5. Charges would be pressed against him and he would be detained. A high profile court case would attract the attention of the media and more racist abuse would be levelled against Muhammad. How should this story end? Could Khalid be re-integrated into society? Could he redirect his passion into more worthy causes? Would his Father bear the cost, endure more humiliation and forgive him? Would society ever forgive him? Jesus told shocking stories with a contemporary edge not simply to engage his audience but to teach about the true nature of the God the Father and the nature of rebellion against him. Jesus taught that all have rebelled against a generous, compassionate Father who longs for us to come home. Jesus attracted crowds of ostracised individuals: tax collectors, prostitutes, lepers, the broken and despised in society. Those who knew they had messed up their lives and needed grace flocked to listen to his teaching. The religious leaders bristled at Jesus’ association with sinners. This led to a conflict which brewed for the duration of Jesus’ ministry. But Jesus did not shirk from the climax of this conflict that led to his death under charges of blasphemy. He continued to teach that the religious leaders were running from God just as much as a son who demands his inheritance money from his Father and squanders it on parties and prostitutes. Everybody is running from God. Some use religion as a cloak, others choose irreligion. Some run from God by being bad, others by being good. The Father is waiting for both to come back and when the son does return, the father is waiting to throw a feast, to reintegrate him, not merely as a worker but as a beloved son. God does not want his children to slave for him or seek martyrdom for him but rather to revel in Him and celebrate with him. The party that God throws is at great cost to himself. 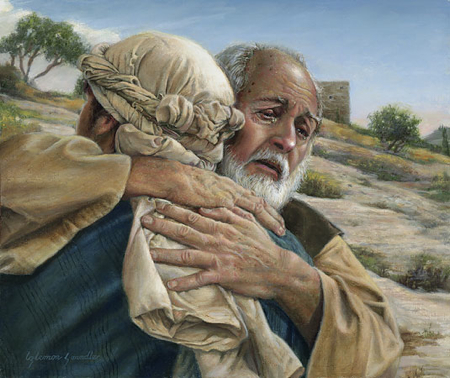 In the story that Jesus told of the lost sons, when the younger son comes to his senses and returns the Father humiliates himself by running to his son and kissing him. He slaughters the fattened calf in celebration. The elder son, representing the religious, moral and upright becomes angry and publicly rebukes his father. To win us back to himself, God humiliated himself in the person of Jesus by hanging naked on a cross and bearing all our sin and shame. This was the greatest humiliation conceivable and the greatest cost imaginable. This cost was borne because of God’s scandalous grace. He gives what we don’t deserve in order to bring us back to himself. This gospel makes religious people angry because it doesn’t seem fair. I’ve been amazed over the last few weeks as George and I have told Jesus’ story over and over to drug addicts and to the respectable, how those who know they are lost are able to grasp the meaning of this story and plead with tears for grace, while those who have lived successful lives wrestle with it. But there is a sense in which we are all like the younger brother and all like Khalid. We are all exiles, always longing to do something meaningful which continues to evade us. The bible tells us that we are created to live in the garden of God. That was our original home and the true country we were made for. God was the Father of that home and we chafed under his authority. We wanted to live free from his interference. Free to discover ourselves. And so we lost our home and the result was exile. The bible says that we have been wandering as spiritual exiles ever since. Though we long to make a difference in the world, we experience endless frustration. But on the cross Jesus experienced the ultimate homelessness as he cried out “My God My God why have you forsaken me” and he did this to bring us home. Just like the Father in Jesus’ parable, God is waiting for us with open arms to come back to our true home. 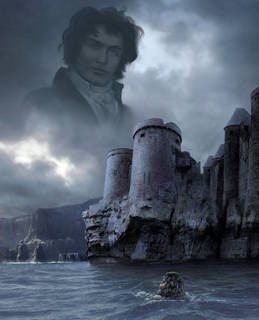 One of my favourite novels is the Count of Monte Cristo, the story of a betrayed man who spends thirteen years incarcerated in the Prison Chateau D’If because of the sins of others. Yet because of the sacrifice of a Priest, incarcerated with him, he not only gains freedom, but becomes the inheritor of a vast treasure hidden in a cave . At first Dantes does not believe the Priest who tells him of this treasure, but when given the exact location of the riches, he uses all his energies to find it. And he uses it to inspire every endeavour of his new life. Having discovered the treasure, Dantes’, new great passion is to exact vengeance on those who betrayed him. This he does in the most meticulous and calculated way. Over the last few weeks, several treasure seekers have been digging with us, (George and I) at the Lighthouse in Woking, for treasure in Luke’s gospel using UCCF’s excellent material with the questions adapted depended on the literary ability of those reading with us. We have been sharing the gospel with the widest variety of people I have ever encountered. Some have been incarcerated in their addictions for periods of time similar to Dantes. Others, including myself, have at times, given their lives idols, less obvious but no less potent. People have various reasons for coming into the Lighthouse and making contact with us. Some have come in to do bread-making, others to help, or receive help, from Jigsaw, http://www.jigsawwoking.org/jigsaw/index.htm an outreach to financially needy pre-school families. 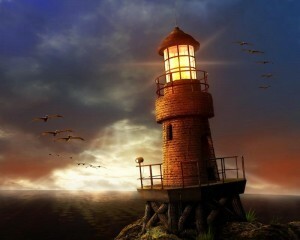 Others have come to serve in the Lighthouse, building and decorating. Still others have been “digging” for years but have renewed their motivation in recent weeks. Several can testify to experiencing a new freedom as they have trusted Christ. Two ladies who are recovering from heroin addiction have been looking at how Jesus riled the religious leaders of his day by hanging out and sharing the gospel with prostitutes and sinners. One lady commented today: “ . . . you are helping us dig for treasure in the bible.” What we have found is that when we dig into a passage, truth and grace, the character of Jesus, is gradually uncovered and cherished. Often those studying a passage for the first time are surprised and blown away by what they discover of a God they thought they knew about but had misunderstood. Unlike the treasure Edmond Dantes discovered, the treasure of the gospel, uncovered by reading and studying the scriptures, enables a repentant sinner to love his enemies and bless those who curse him. The Webb’s Update. Saturday 14th June 2014. Greetings all. Thanks again so much for your support and prayers. As the countdown to move to Thailand enters its final few weeks, we have some matters for praise and prayer to share with you. We have all our passports back. The well publicised problems with the passport office were causing concern but now we should be able to get visas, though the timing is tight. I have had a great time working with George and the team in the Lighthouse. 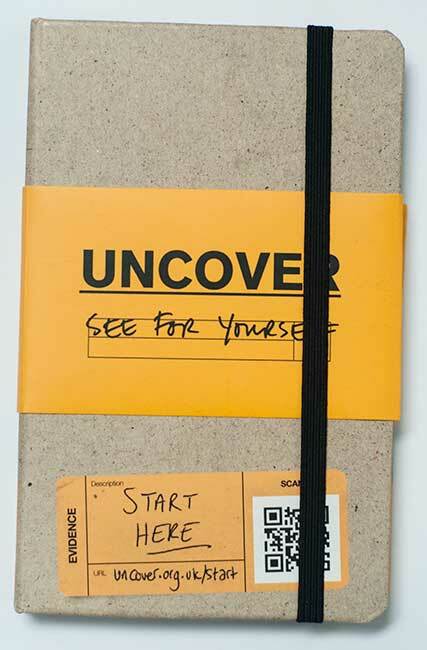 Using “Luke Uncover” we have shared Jesus with several people each week including drug addicts, students and retired business men. It has been great to reconnect with one chap who had come to Send Evangelical Church three years ago seeking answers to the big questions of life. We did ‘Christianity Explored’ with him then, but real progress has been made spiritually in the last weeks. I have my itinerary for the first working weeks in Chiang Mai. My Visa to get sorted quickly. Lois broke her nose doing a vault a couple of weeks ago. Yesterday she had a nasty operation under general anaesthetic to re-break the nose. Please pray for her healing. I tore a ligament in my back playing cricket last week. I am already in mourning about the suspension of my cricket career as it is not played in Thailand. Please pray that my back will be ok for me to work on the bulding site on Mondays and Tuesdays. Please pray that we can find the right tenant for 68 Loop Road and the right house to rent in Chiang Mai. I am preaching at Baglan Church, Port Talbot 6th July, Eastneye Evangelical Church, Portsmouth 13th July and preaching at a wedding at New Life Church, Old Woking (our sending church) 19th July. Please pray the Lord would give us strength, energy, health, enthusiasm and that we can begin life in Thailand well . We are still praying for more financial support. A massive thank you to all who have been able to support financially and a huge thankyou to you for your prayers. Please pray for us all as we say goodbye to family and friends, for these last few weeks at school and for the children to make a good transition to their new school and all the challenges ahead. Please pray for the folks that we are studying Luke with: Brian, Rebecca, Sarah Jane, Lisa and a couple of Mormons too. Other non Christian folk who are volunteering at the Lighthouse have expressed interest in finding out about Jesus too. With our grateful thanks for each one of you and our prayers for you. Do get in contact and let us know how we can pray specifically for you over these months. Over the last few weeks, George and I have been having some in depth discussions with a couple of Mormons who are seeking to share their faith in Woking. Mormons often initially pose as Christians, claiming to be true Christian believers, while the rest of the church remains apostate. Yet the beliefs and history of this strange sect are more sinister than their cheery, indefatigable and polite young missionaries appreciate. Since 1820 when Joseph Smith founded the Mormon sect, evangelical Christians have been able to show how Mormonism is a false gospel and its prophets are wolves in sheep’s clothing. 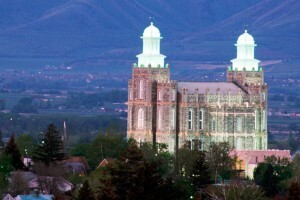 However, recently Joel Osteen, an American spokesman for one stream of “evangelicalism”, when interviewed on CNN, claimed that while Mormonism is not traditional Christianity, he still views them as “brothers in Christ.” This is extremely naive and concerning since Mormons are dangerously anti-gospel in all areas of doctrine thus promoting a false gospel based on the teachings of corrupt, polygamous, polyandrous so called prophets. In what areas are Mormon beliefs so different? Mormons believe that God the Father was once a man. Even more sinister is the doctrine of “blood atonement” taught by the early prophets of the Church of the latter day Saints. Joseph Smith, the founder of the Mormon religion and its first prophet, taught that certain sins were so so serious as to put the sinner “beyond the reach of the atoning blood of Christ.” For these fallen sinners, their “only hope” lay in having “their own blood shed to atone.” Smith made clear that the shedding of “innocent blood” (including killing anyone less than eight years old, the age of accountability in Mormon teaching) was an unpardonable sin which, along with failing to keep their covenants or betraying their testimonies, could lead to eternal damnation. In Smith’s theology, the doctrine applied only to Mormons, but it was widely viewed as providing justification for shedding the blood of apostates. This doctrine contributed to the culture of extreme violence that marred the history of early Utah. The sermons of Brigham Young undoubtedly inspired his followers to commit murder, however unfair might have been the popular press’s willingness to blame every violent act in the territory to blood atonement. Unlike the Bible, whose main narratives are supported by plentiful archaeological evidence found in modern day Palestine, Syria, Turkey, Greece, Iran, Iraq. No evidence supports the book of Mormon’s narratives set in the Americas between about 600 BC and AD 400. Furthermore, the book of Mormon contains numerous anachronisms including horses, cattle, other livestock, flora and fauna and various forms of technology which were unknown in the Amercicas at that time. The witness of the Spirit? For all our arguments and evidence, it is only the Holy Spirit who can lift the veil from our eyes. We do pray that for those guys. The Webb’s Update. Blessings and Challenges Thursday 4th June 2014. Greetings all. Here’s another letter to tell you how we are getting on in our plans to go to Thailand in seven weeks. We are experiencing many blessings from God on the way and some challenges still to overcome. We do appreciate knowing that folk pray for us from time to time. We can do nothing without our Father’s leading and love. Chris’ week typically involves Mondays and Tuesdays working 8am-5pm on a building site as a labourer for Huggett and Hazelden, two godly guys from Woking, whose business has done much to build and transform both local properties and the lives of exployees. Having never done any physical work before, I am enjoying the routine of the day. During the remainder of the week, Chris works in the Lighthouse doing a variety of things from leading seminars on preaching, to leading seekers bible studies to cold contact evangelism. Most weekends Chris is doing a combination of preaching, leading Alpha and raising prayer and financial support for his teaching role in Chiang Mai, which is to begin 28th July. It has been healing and thrilling to reconnect with seekers who had attended Send Evangelical Church and to read the bible with people for the first time ever. Chris is also excited about the courses he will be teaching at GIS in church history, eithics, principles of bible study, comparative religions, sects and the occult. The children are continuing with their routines in school. Sam has completed his SATS and is performing well the in Horsley and Send under 11s cricket team. 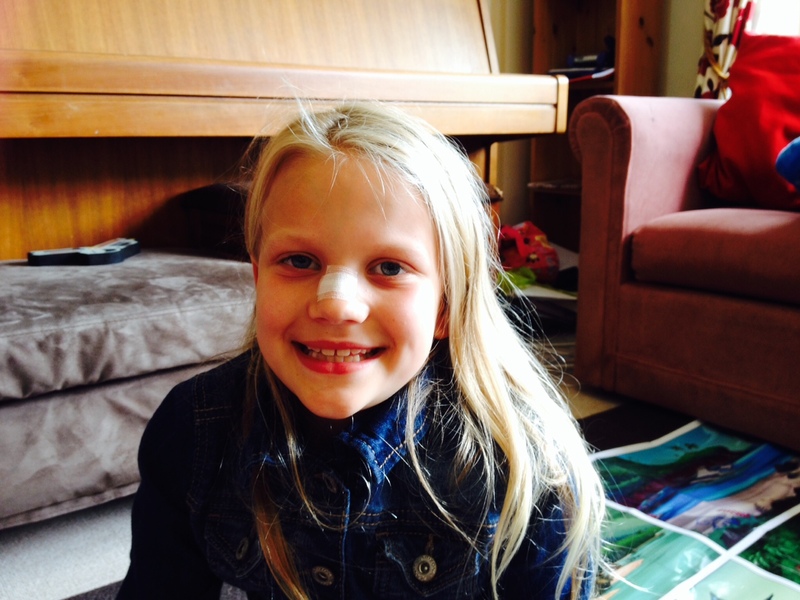 Lois continues to excel in gymnastics despite recently breaking her nose while practising her vaults in the garden. Joe and Isaac continue to, generally, flourish at school and nursery. Ann spends most of her time ferrying the children back and for, while taking on the role of accountant and house manager as we seek to find a tenant for our home and as we seek to manage the finances in raising a salary for Thailand. Challenges and Items for prayer. Getting a Visa is proving difficult. Chris and the children needed to renew their passports. The process is taking longer than it should which means we can’t purchase flights yet. At the moment the children’s passports are lost. The political situation in Thailand is some cause for concern and needs monitoring. We need to find a tenant. We need wisdom to know what to ship and what to store. We need to find a house and a vehicle in Chiang Mai. We need to raise quite a bit more finance to pay for flights, immunisations and salary. In all these things we know our God is able to provide. Every blessing to you all. Love Chris, Ann, Sam, Lois, Isaac and Joe. I am naturally a vacillator who finds it incredibly difficult to make decisions. Not blessed with a decisive temperament, I waver and am sometimes paralysed by doubt as to the correct course of action. Yet Christians, of whom I am one, claim to be guided by God in the decisions they make and the course of life they are guided into. As a Father with four children, the decisions I make seem to bear extra consequence. At present, having taught in a local school and having pastored a local church, I am working on a building site part of the week and in a building called The Lighthouse, before planning to take my family to Thailand as a missionary. So how has God guided me to this point? God has guided me through circumstances (that I might not have chosen) as I have prayed (often desperately) for help and as I have read the bible. I have prayed that God would bring my heart and mind into sympathy with his heart and mind. So as the last months have passed and as I have studied the situations I have gone through, what I have sought to discern is what path would be best in accord with the character and purposes of God. In Psalm 25, a Psalm where David is requesting guidance, God promises to “instruct sinners in his ways.” “He guides the humble in what is right and teaches them his ways.” David confesses his sins, his loneliness and his fear many times in this Psalm. What this shows is the person who recognizes his sinfulness and need of the Lord is the person who will be guided by God. Yesterday morning at 7.30am, I was waiting by a local church to get a lift to do a day’s labouring on a building site. A young female jogger stopped to look at the notice board of the church. Interested in singing, she was drawn to the notice about the community choir. Because I go to the church, I was able to give a bit more information and invite her to an Alpha course running on Sunday evenings. When I asked if she was a Christian, she replied that she was brought up Catholic and tends to add Christianity to other beliefs, rather like you might add various vegetables and spices to make up your own curry. Like many people today, this young lady’s main problem with Christianity is its exclusivity. Exclusivity, it is believed, leads to prejudice and for groups to stereotype each other. Curry is the preferred dish of the age. We like to put several beliefs in a pot, mix them around and come up with our own dish. The view believed today by the majority of people I encounter, is “All religions are equally valid and basically teach the same thing.” One journalist recently wrote that anyone who believed that “there are inferior religions” is a right wing extremist. Most people, however, who assert the equality of religions, have in mind the major world faiths, not splinter sects. The major problem with this belief though is its inconsistency. It insists that doctrine is unimportant. God is a loving Spirit. That is all that matters. But this view assumes doctrinal beliefs about the nature of God that is at loggerheads with those of all the major faiths. Buddhists do not believe in a personal God. Jews, Muslims and Christians believe in a God who holds people accountable and who cannot be reduced to simply an all loving Spirit. The insistence that doctrines do not matter is really a doctrine in itself. It holds a specific view of God which is touted as superior and more enlightened than the beliefs of most major religions. This is also an “exclusive” claim about the nature of spiritual reality. If all such views are to be discouraged then this one should be discouraged too. But if it is not too narrow to hold this view, then there is nothing inherently narrow about holding to traditional beliefs. Christianity actually provides a firm basis for respecting people of other faiths. Christians believe that all human beings are made in the image of God and are capable of goodness and wisdom. Because God has made us as his image bearers we can expect non believers to be better than any of their mistaken beliefs could make them. On the other hand, the bible’s teaching about the universal sinfulness of mankind also leads Christians to expect believers will, at times, be worse in practice than their orthodox beliefs. Jesus claimed to be the only way to God. He is not one more teacher to throw into the curry pot. He claimed to be the saviour of the world to whom all the prophets had previously pointed. Although his claims are exclusive, his call is inclusive of all who will believe regardless of race, gender, class or creed. At the very heart of the Christian gospel is a man who died for his enemies, praying for their forgiveness. I hope the lady jogger does come to the Alpha course on Sunday so she can discover this amazing news for herself but on that occasion we won’t be serving curry for dinner. The Webb’s Update. Thursday 15th May 2014. First of all Ann and I want to say a huge thank you to folks who have been praying for us and have spoken to us about your hopes and fears for us, as we have expressed ours for the future, as we prepare to go to Thailand. We are excited to be serving the mission community there by helping to provide a quality education for the children of missionaries, who are attending Grace International School in Chiang Mai. Chris will be teaching the Bible, discipling and mentoring, and we will all be active in a local Church in Chiang Mai. We are also daunted by the prospect and very grateful for your prayers and support. Why have you decided to teach again in a school? Isn’t pastoral ministry your calling? At Christ’s College, I loved some of the teaching and hated other aspects. I also made some mistakes with behaviour management. Third culture kids will have many issues associated with their particular circumstances but I am excited about being able to teach the Bible and have the freedom to be a discipler and mentor rather than concentrating, in the majority, on behaviour management. We may return to pastoral ministry some time in the future but feel this is the path God is taking us on at the moment. For several years Ann and I have talked about teaching at Ukurumpa High School in Papua New Guinea and supported Wycliffe Bible translators. We did a week of exploratory training with them soon after we married. We gently pushed this door for a while but felt it was too remote. We looked at other areas of the world and discovered the school in Chiang Mai. We both have friends living and working there, Chris visited missionaries in western Thailand five years ago and Ann spent the first six months of her life in Bangkok. We’re not sure why God led us to this school but there have been many confirmations for us about it. How long do you intend to be there? We are not sure. We plan for 3 to 5 years, but will be open to it being longer or shorter, as God leads. Are you sure this is God’s plan for you? We have been guided by many different circumstances. The doors closed to other ministry opportunities in the UK and my present part time work at the Lighthouse was planned to be short term, with a view to a longer term ministry from September this year. Although we were already looking into this job in Thailand, we never thought it would become a reality! Over time we have felt more and more clearly that this seems to be the right step. We also felt clearly led to this role at the Lighthouse and with George, and we have seen God provide for our needs as we have raised income through friends for this interim period. Our hopes are that we can serve mission in South East Asia and live for Christ there. We hope we can fulfil a need that the school has to provide education to the children of missionaries. We hope that we can help the young people at the school not only to progress in their education but also to root their identity in Christ. We hope that our children will, at an early age, have impressed upon their hearts a passion for global mission. Our fears are in part due to lacking faith in certain areas. We are apprehensive about the short time-scale that we have to get everything ready to leave in late July. We fear that we might not be able to raise the funds. We have not had time for cross cultural training and orientation preparation. We have not had the funds to join a mission society. We pray that the Lord will help us to overcome these issues. What about your life and ministry now? It’s awesome to be able to work with George and the gang at the Lighthouse. Today I sat at a meal cooked by an Algerian Muslim next to homeless, ex heroin addicts, secular materialists, lapsed Catholics and two Mormons. The ministry opens opportunities all the time to share the gospel with a huge variety of people. On Mondays and Tuesdays I work on a building site and the rest of the week I am involved in various ministries from pastoral visits to cold contact evangelism, to leading Alpha, to preaching and raising awareness and support for our future plans. Ann and the children are all quite excited and up for an adventure. This is taking us well out of our comfort zones and we are having to trust God in so many ways, but we feel He is calling us to that as a family and look to Christ to supply all our needs despite our weaknesses and fears. Many thanks again for your prayers, love and support. Chris, Ann, Sam, Lois, Joe and Isaac Webb. On Thursday last week, 29th May, in my diary, in small print, it said it was Ascension Day. The book of Acts, chapter 1 records the event of Jesus ascending into heaven in a cloud forty days after his resurrection. This is one of the odder accounts in the New Testament. I remember my Dad, in one of the rare conversations we have had about Christianity, saying that it was this event that is the most unbelievable event described in the pages of the New Testament. Origen, in the third century, thought it so odd that he advised Christians to understand the ascension as an ascension of mind rather than body. His misundertstanding led to the castration of this doctrine which was not the only thing he castrated. In some ways the Ascension is a forgotten and perhaps embarrassing doctrine in Christianity. But the New Testament says it is vital for our salvation and for the mission of the church. Jesus says that his physical absence is better for us than his continued physical presence. (John 16:7), (John 20,17). How so? Tim Chester and Jonny Woodrow’s little book: The Ascension: humanity in the presence of God (Porterbrook, 2013) outlines three very important reasons. The atonement (Jesus covering our sins) was not complete until he stood before God on our behalf. As man and God, Jesus is the only one who can mediate for us. Now as our priest and mediator in heaven Jesus bears our names as a memorial to God. He is the sign, the reminder, the pledge that we belong to God. We would not want Jesus to leave heaven. If Jesus were to leave heaven and not be in God’s presence on our behalf then we cannot be in god’s presence. Yet, He is the eternal priest whose priestly ministry will never end. Even when Jesus comes to earth on the final day, he does not leave heaven behind. He can never leave heaven without jeopardising our salvation. On that day he will bring heaven to earth. Because of this, I am secure in God’s family. I can no sooner be removed from the presence of God than Jesus can. The story of the ascension is the story of the enthronement of Jesus as King of the world. That is why the ascension is the climax of Luke’s gospel and the starting point for Luke’s sequel, the book of Acts. In Luke 22 66-70 at Jesus’ trial before the Sanhedrin, when they demand him to tell them whether he is Messiah or not he replies: “. . .from now on the Son of Man will be seated at the right hand of the power of God.” (v.69) Jesus is alluding to Daniel 7, the vision Daniel saw of the ascension several hundred years beforehand. In that vision the Son of Man approached the Ancient of Days and was led into his presence. He was given authority, glory and sovereign power. This is his enthronement. This is his true triumphal entry as he enters heaven as the triumphant king of heaven and earth. Matthew, in his gospel, says that this authority is the basis for mission. It is because Jesus is enthroned that he tells his disciples to go to all nations. Mission is the logic of the ascension. The ascension does not create a church bunkered down in a ghetto, but a church that confidently proclaims the coming of Earth’s king. The ascension also has implications for the gospel we preach. We can tend to invite people to make Jesus their king when in-fact, the news is that Jesus is King and they will one day meet him as conquering King, either through the gospel or as judge on the final day. 3. Jesus is ascended Man. Human flesh is now with God. The body of Jesus is in heaven. The Spirit is given through the ascension so that the glorified Christ is present with his people to revive and refresh them. It is the Spirit who enables us to talk about the presence and the absence of Jesus without contradiction. He is absent in the flesh but his Spirit is His envoy speaking the words of Christ to us. We can meet the absent Christ through the Spirit. The Holy Spirit collapses the distance between the ascended Christ and ourselves! John Calvin used the illustration of the Sun shedding its beams on the earth so that we feel the sun though the sun stays 93 million miles away. Jesus is physically present in the new creation and one day we will catch up with him. We, in the meantime,straddle two worlds. We live in this world as citizens of heaven. The climax of the story is not the replacement of earth with heaven,but the unification of heaven and earth as heaven descends to earth in a new creation. (Revelation 21). The ascension of Jesus is the ultimate rags to riches story. A child born in a barn becomes King of the world. But it is not his story alone. It is the story of the restoration of humanity. All believers participate in this rags to riches story, We ascend to become who we were born to be. God raised us up with Christ and seated us in the heavenly realms in Christ Jesus (Ephesians 2:6) Christ’s ascension is our ascension.